There are many terrible things that happen in this world, mostly carried out by human hands. 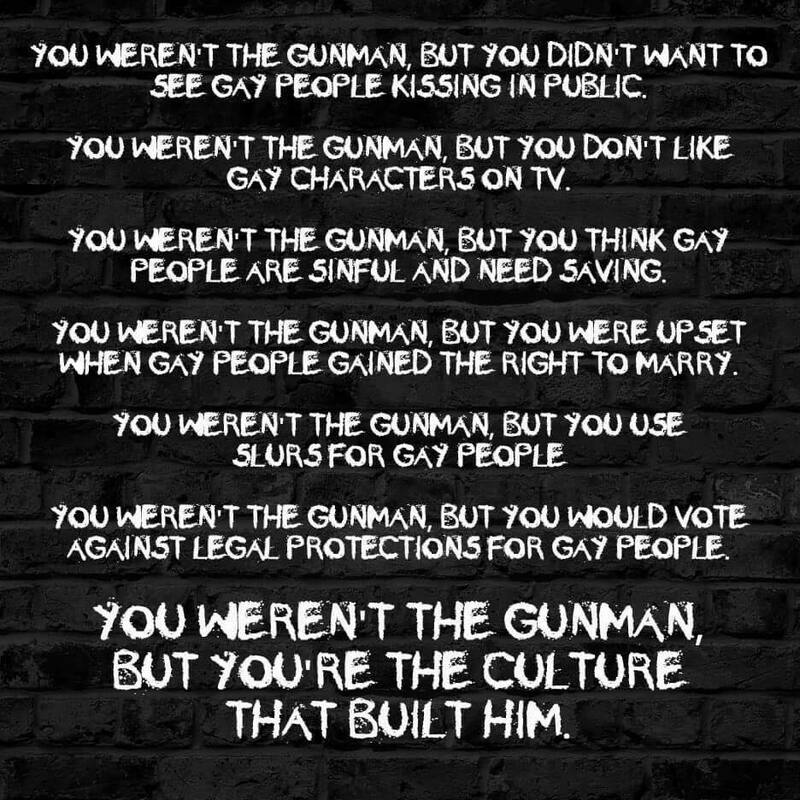 It's easy to claim and feel as if we are in no way responsible for those things, for those acts of violence. However, if we look within ourselves we will see that there are thoughts, judgements, beliefs, words and actions that we have lived that are discriminatory, violent, superior etc. Each of these seemingly small concessions that we allow ourselves form part of the whole that we see in the world - ie in other people. 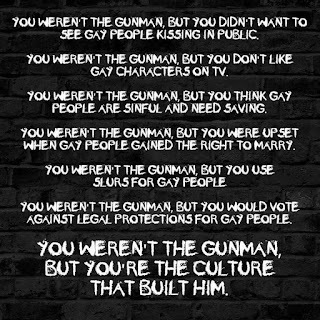 So when someone shoots up a gay nightclub, you may not feel responsible at all - but remember that the gunmen internalised all of the judgements about gays from all the people he/she met during their life and created such an intense emotional reaction to gay people that it built over time into a complete possession where they then channeled all this rage into a violent act. We are each creators in this world and society, no matter how seemingly insignificant our contribution.